Wings were my specialty when it was my turn to make dinner when I was a teenager. I haven’t made them in a really long time, but since I was trying to think of some Super Bowl party recipes, I figured now was a good time. This recipe is based on my grandmother’s wing recipe. It’s not too spicy, but if you are so inclined you can add more chili powder. If you don't want to use a slow cooker - bake in 400 degree oven for 30 - 40 minutes until wings are cooked through. If you want to make ahead of time you can freeze the wings. Discard the marinade, store in freezer-safe container, and freeze for up to six months. To reheat - preheat oven to 375 degrees. Add two tablespoons of water to a baking dish. Lay chicken wings out in a single layer and bake covered for about 30 minutes until wings are hot. 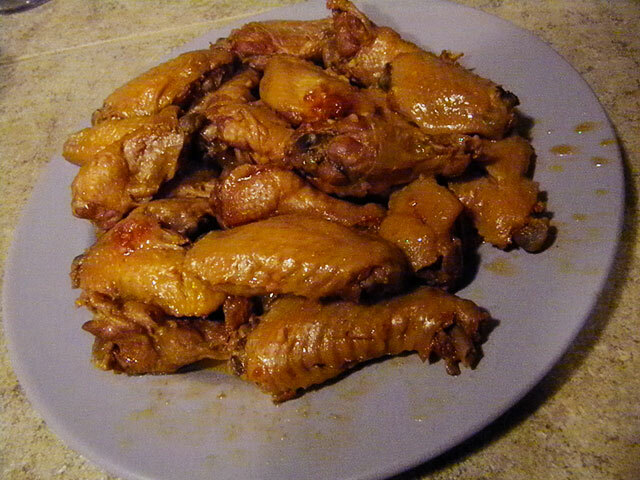 I can’t imagine a Super Bowl without wings, and these look really tasty!